Wood is the perfect material to use in the modern home to bring a sense of warmth, luxury and uniqueness. The aliveness of the timber creates balance with todays palettes of materials such as white, concrete and darker hues. Wood is a beautiful way to create that vital sense of flow in your interior design as it is very malleable to different styles and uses. 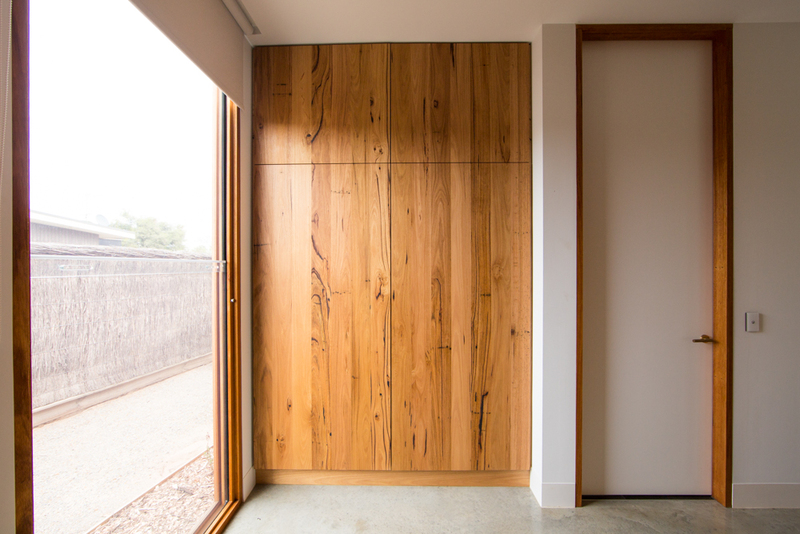 Timber joinery can be used to create such things as an inbuilt bookcase, mudroom cabinetry, a wall hung TV unit, a custom walk in robe as well as bathroom vanities. The brilliance of using timber in your cabinetry over most other materials is that it gets better with age and is easily repairable. Most surfaces, once damaged, can only be replaced. Solid timber on the other hand can be spot fixed or in the case of major damage sanded and resurfaced.